Don't we all love a good upcycled project? 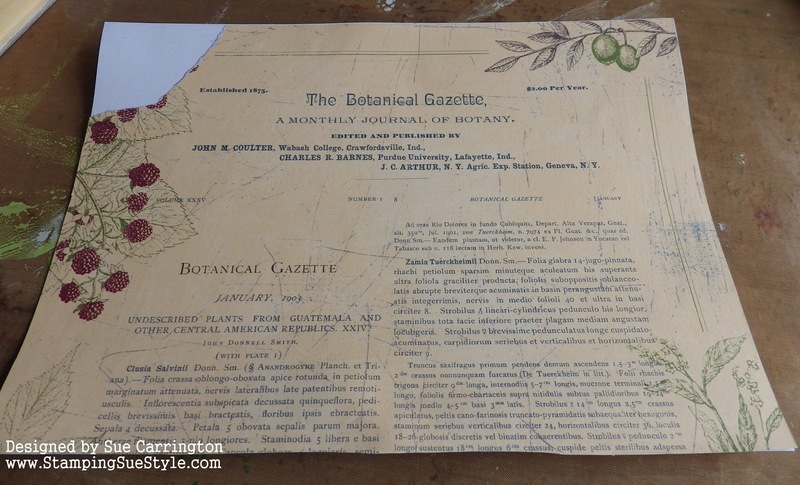 This month we'd love to see how you take something that you'd normally discard and give it new life in your art. Whether it's glamorized boxes, Styrofoam turned into a stamp, packaging that's been die cut, or another altered idea you have. Bring on your best mixed media repurposing! We can't wait to see what you come up! 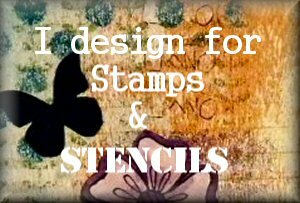 Don't forget to use stamps or stencils in your project. I do love these sorts of challenges as I am always amazed at what can be made from the stuff we would normally throw away. I used a piece of Tim Holtz Tissue Wrap to cover the corner then started to stencil over the paper after giving it a coat of Glue 'n' Seal. I continued to stencil, doing some 'bumping' with the TCW numbers stencil. I used a Lin Brown stencil for leaves and used Prima Crackle Paste. When the paste was dry I used my Inktense pencils to add some colour. To knock things back I little I used some Gesso and smudged it over the surface with my finger. The two larges pieces for the design were painted with Little Black Dress Fresco Finish then I used White Fire Fresco Finish with a piece of Cut 'n' Dry foam. 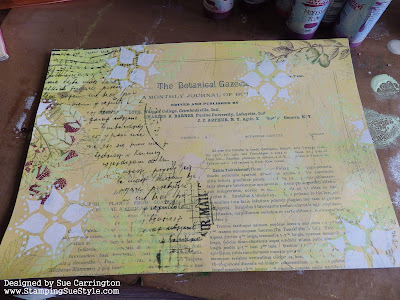 The box was painted all over with Buff Fresco Finish paint and then I rubbed some Little Black Dress and Gold Fresco Finish paints around the edges. The three large flower heads are from one of Darcy Wilkinson's new stamp sets and I've painted them with my Inktense pencils and added some white dots with Snowflake Fresco Finish. 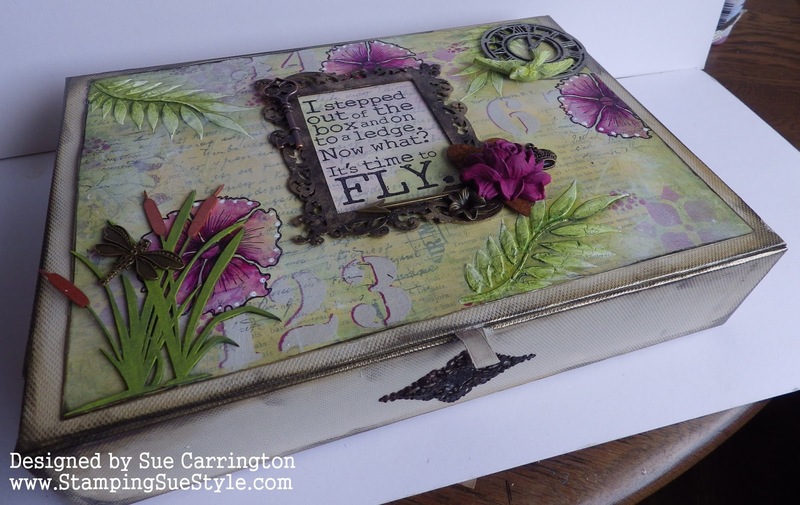 I glued the A4 piece of card into place then arranged the embellishments. The sentiment is another one from Yvonne Blair. 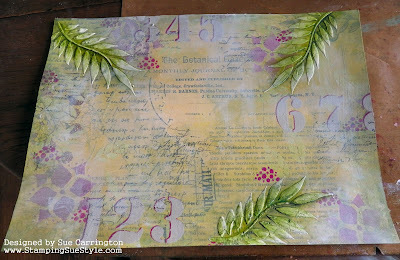 It's stamped onto a piece of card that's covered with Tim Holtz Tissue Wrap which I've blended Fresco Finish paint over. The flower is a resin one that's been painted with Bougainvillea Fresco Finish paint. The bullrushes are by The Southern Ridge Trading Company which Linda at The Funkie Junkie Boutique now stocks. I've painted them with Fresco Finish paints, the Copper gives a wonderful sheen which I'm not sure you can see on the above photo. 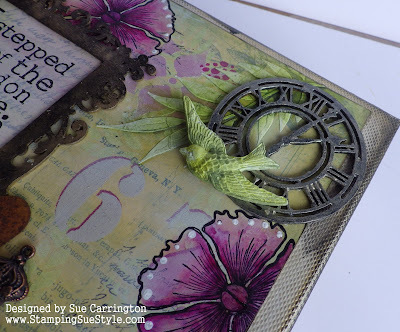 The little bird is by Melissa Frances and I've painted it with Fresco Finish paints. That just about wraps it up, so all I need to do now is fill the box ! I hope you get chance to join us for this challenge and do make sure you hop over to the Stamps and Stencils blog to check out the rest of the DT's fabulous transformations ! Just STUNNING Sue. Wow. What wonderful colors. Love that sentiment on an actual box!!! It's BEAUTIFUL. Xj. 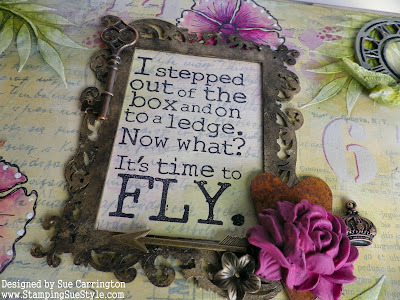 A lovely re-purposed box, Sue! the springlike color palette is gorgeous and all of your stamping and stenciling is fabulous! I love this useful project! 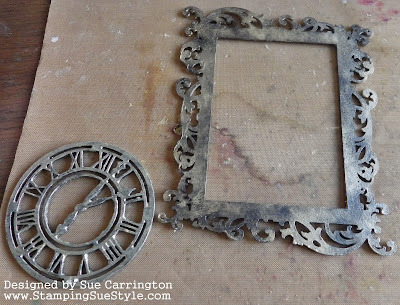 Gorgeous piece of upcycling Sue and really useful too! Wonderful stencilling and I love the embellishments you've added to make this such a pretty box. 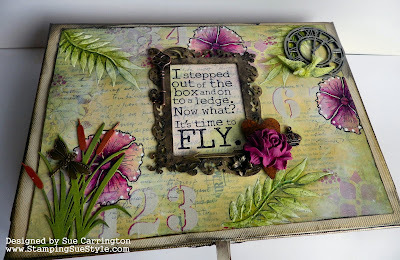 Darcy's stamps look fab! 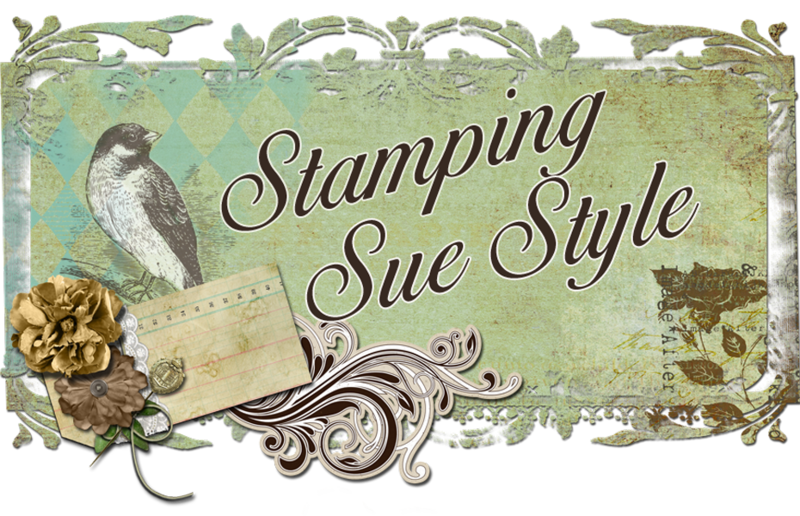 Sue, this turned out just lovely!! What a nice gift this would make! You make the most wonderful storage pieces out of basically garbage and this is no exception. Love the colour palette with the bright fuschia against the green. Your stencil work is awesome and the sentiment is fabulous. 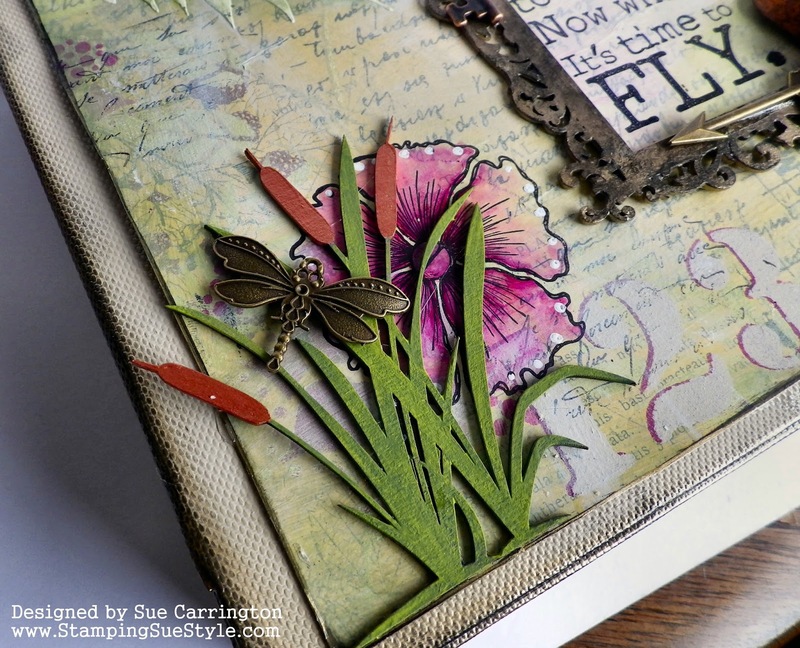 So beautiful - I just love the depth you achieve with your layered backgrounds, and the springtime embellishing is so fresh and zingy. Those LB leaves may be my favourite thing of all though!